Google announced multiple updates and launched new services at its I/O 2017. Google Photos now comes with a host of changes and there are three major updates Google announced. The new updates will be applicable to Android, web as well as iOS users and will slowly roll out in the coming weeks. Google already offers free, unlimited cloud storage to Google Photos users. The changes are based on Google’s machine learning technology. Google Photos was announced just a couple of years ago and the service already has over 500 million subscribers with users storing over 1.2 billion photos and videos daily. Apart from Google Photos, Google also has Picasa photo storing and sharing service which continues to be used by many users but is no longer supported by the company. Coming to the new features of Google Photos, we have Suggested Sharing, Shared Libraries, Photo Books and Google Lens. Suggested Sharing, as the name says, reminds users to share photos with others. The feature is especially for group photos or photos with more than one person in them. Using machine learning, Google Photos will identify the persons in the image and make suggestions or set reminders to share the images with those individuals. Google will also automatically select the right photos to share. Not only will the photographer get suggestions, but once the images are shared, the receivers will also be given reminders to share their photos. Google Photos will update the UI will a new ‘Sharing’ tab that will also let users find all images from one trip in one place. There’s some nostalgia associated with the photo diaries of old, and Google is bringing them back. 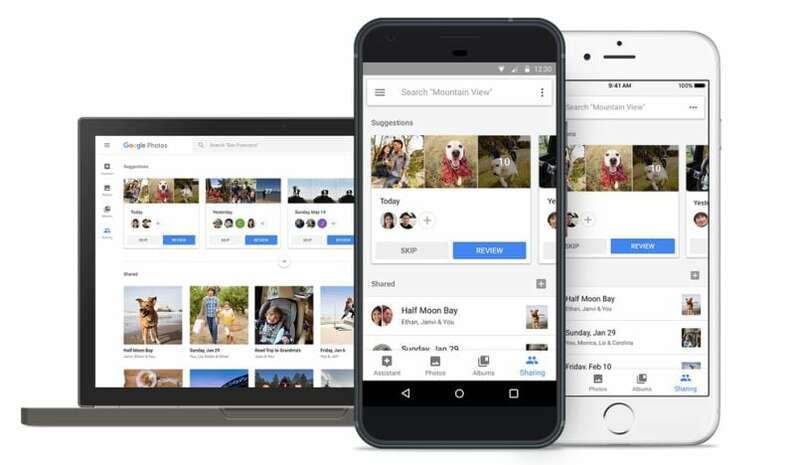 Google Photos will make suggestions for photos which can then be added to a Photo Book, which will be physically delivered by Google. The photo book can be created on the smartphone and come with high resolution images. Duplicates or poor quality images will automatically be removed from the mix. Presently, Photo Books is available only in the US and is priced at $9.99 (approximately Rs 650) for a 20-page softcover book and $19.99 (approximately Rs 1,300) for a hardcover book. It is unclear if the service will roll out in India. The service will be for web, Android as well as iOS users. Google Lens is a photo editing service that was only announced at I/O. The feature is not yet ready and will roll out much later. Google Lens will present the users the ability to edit images using machine learning. Users can get rid of photo-bombers and salvage an otherwise great image. Google Lens will be able to identify locations and people in an image. There are multiple other editing abilities inbuilt in the app.